The idea of slipping the waiter twenty dollars to get to the front of a restaurant line has undoubtedly crossed most hungry diners’ minds. But usually, patrons let the thought disappear into the realm of bad taste and patiently wait their turn. Now, CharityWait is a new feature of Smartline’s digital waitlist system, which enables diners to queue jump guilt-free by donating money to the restaurant’s chosen charity in return for a table. 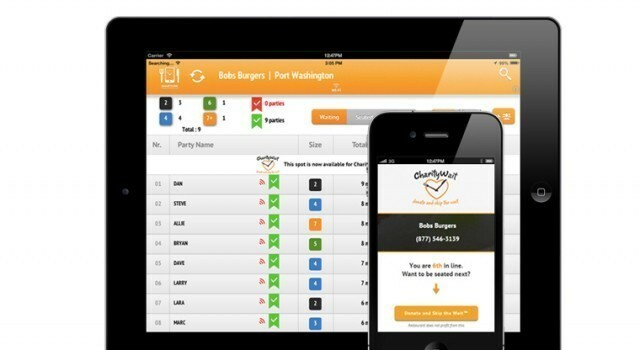 Smartline Guest Management is an app which enables restaurants to manage their waiting list digitally, and CharityWait is a new feature which lets impatient diners ‘donate and skip the wait.’ To begin, the restaurant chooses a charity partner from an existing network and holds a table or section of the floor for CharityWait diners. Then, when guests join the SmartLine wait list they are sent a text message asking if they want to donate to the charity and be seated earlier. If they accept, they are prompted to make a secure payment and will be shown to the next available table. The charity receive 60 percent of the contribution and SmartLine retain the other 40 percent. Restaurants who sign up for CharityWait have their SmartLine fees wavered — these are usually between USD 49 and USD 149 per month. Could the charitable queue jump system be used in other areas of the hospitality and entertainment industries?